We have a stand-alone two-bedroom unit on our property. The unit is very private and there is a lovely large garden with a duck pond. The unit is very well equipped and is neat and very tidy. The unit can sleep up to 6 people and has two bedrooms, a lounge, a well equipped kitchen and a lovely bathroom with a bath and shower. The property is well secured, and is only 700m from the sea. There is ample parking with undercover parking for three vehicles as well as space to park a boat. 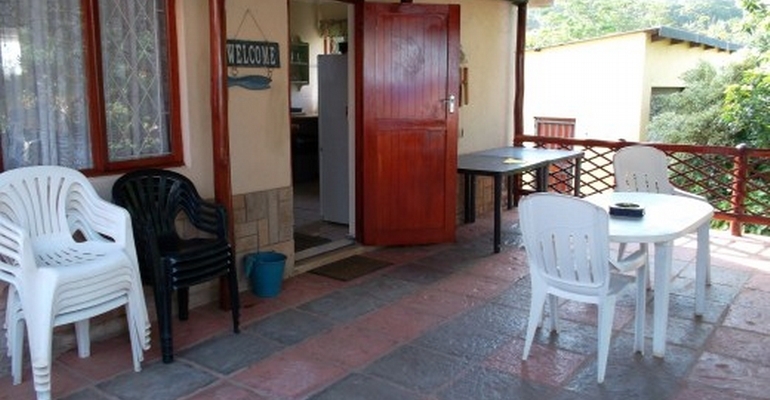 The unit has full DSTV as well as an undercover patio with outside braai facilities including a Weber braai. One of the benefits of staying in Shelly Beach is the close proximity to the major shopping centres on the South Coast. Both the South Coast Mall and Shelly Centre are located nearby giving you plenty of entertainment such as shopping, restaurants and movies all on your doorstep.